Regardless of continent, it is now high time we accepted the informal economy (unformal or unrecognised or unorganized sectors) as a commercial operating environment in its own right. The continued oversight is rapidly coalescing into a gaping void of hiccups and failures, by large companies, non profit institutions, and startups, alike. This issue goes far beyond “understanding the informal” or recognizing the fulltime professional status of the service providers that I’ve written about before. It’s about the problems created by continuing to assume every individual is poverty stricken and struggling to make a livelihood simply because a significant portion of their commercial activity operates outside what is rarely defined but is assumed to be the formal, structured economy held up as the pinnacle of economic development. It’s why academics can barely conceal their flabbergasted surprise that a person has a better quality of life, and a reasonably viable revenue stream in [gasp] informal market trading, or even agricultural work. It’s why @pesa_africa questions the continued transplantation of e-commerce business models directly from Seattle to subSahara given that they’ve tended to wither on the vines. It’s why market women and traders pay the price of daily harassment and abuse by those given authority over their peace of mind. And, it’s also why the freshest produce gets to you first thing in the morning in Nairobi or Cotonou or Kinshasa. This is not meant to be a paean to the hardworking women and men who keep the engines of commerce and trade humming in the harshest of environments with scarce resources and inadequate infrastructure. It’s the first step in acknowledging yet another holdover from a colonial past that decades later still hampers and hinders the social and economic development that should have happened by now, by all rights. It’s also the necessary counterpart to the recognition of agency required for design interventions to succeed once donor funding ends. We weren’t beholden to our customers until we starting thinking like a business. We didn’t hold ourselves accountable until we started treating our ‘beneficiaries’ as customers. No investor took us seriously until we dropped the ‘social enterprise’ label. When I wrote “Why so much ‘BoP’ marketing fails in the developing world” recently, I had sensed that there was a more fundamental problem – either one of implicit assumptions or basic premises – than those which I’d identified through observations in the marketplace. It took these three powerful statements from Ben Lyon, founder of Kenyan startup KopoKopo, to throw light on the issue. Were these social enterprises treating their customers like kings or were they dealing with them like the beneficiaries of development aid? Identifying this distinction, we believe, is critical and can make the difference between success and failure. In fact, taking the thought a step further, I now wonder whether this underlying premise might not be the reason why so many social entreprenuers are unable to scale. The lens through which you percieve your intended customer base and thus, evaluate their needs, purchasing power, wants and wishes becomes the focal point around which your product or service, its business model and distribution strategy as well marketing communications will revolve. When we seek to serve a very demanding customer who just happens to manage within an extremely challenging environment, we raise the bar on our own performance and metrics of success. For no one will spend good money on something that offers little value or return on investment. But as long as social enterprises continue to perceive the target audience for their goods or services as ‘beneficiaries’, with all the attendant baggage of assumptions and perceptions, they will never quite be able to address the challenges of creating a market for a profitable and thus sustainable, enterprise. Maximizing profits alone may not always be the right answer, but even the triple bottom line approach embraced by European businesses can offer a more valuable orientation than simply “doing good”, which may overwhelm critical considerations of “does this actually make sense and does the market actually want it”. I’d written this snippet earlier, before I’d identified where the seed of the confusion seemed to lie. Because the demand being addressed by these messages is not that of the target audience, who are ultimately the ones for whom these products are made. 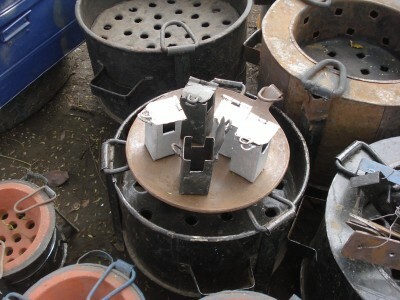 Improved cookstoves rank poorly on all three dimensions: their benefits are rarely valued highly by customers at the outset, they are expensive, and they require a significant change in lifestyle to be put into use. Lets start with benefits alone – which is where the topic of identifying the correct value propositions for the target audience comes in. If your messaging and marketing is all about the best selling drill addressing an audience of home improvement contractors but what your actual customers need is a hole in the wall, how will you manage to bridge this gap in communication when you face your customers directly? By focusing on the value propositions – be they environmental, healthcare related or otherwise – meant for every other stakeholder but the end users aka the customers of the product themselves – organizations may never quite identify nor refine the benefits as they relate to the poor customer, in the context of their lives, and their decision to purchase and use the said products. And this conflation – of marketing messages meant for shareholders (in formal business terms) being sent to the end customers – will continue to create a barrier to sales and demand creation unless we start taking this demographic seriously as a paying customer. The roots of this challenge are also embedded in the way the concept of “the BoP” has evolved away from Prahalad’s original vision of a vast new market and opportunity into a catchall label for the poor, the downtrodden and the precepts of poverty alleviation. Frugality and affordability are very much in the news of late, what with the most recent essay on Change Observer and this post on Paul Polak’s new blog both highlighting similar concepts but from the point of view of very different markets. It seems to imply the trend towards frugal design or extremely affordable yet relevant and useful products is emerging to the forefront of the mainstream, regardless of whether its the sophisticated mainstream consumer culture or the challenging markets of the lower income demographic. 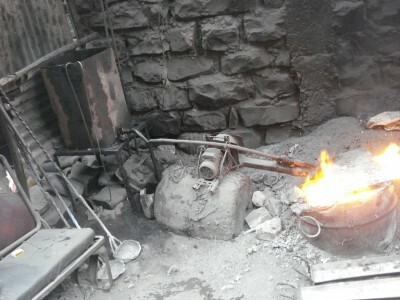 In which case, this is a timely moment in which to give a brief introduction to the conditions of scarcity within which we looked at informal manufacture, fabrication and innovation during our recent trip to Kenya and how these conditions drive innovation. Necessity, after all, has always been the mother of invention. Infrastructure availability or systems that we take for granted such as running water, stable electricity supply without voltage fluctuation or blackouts is an ongoing challenge in this operating environment (the majority of the unevenly developed world). This need not necessarily imply “poverty” so much as scarcity or uncertainty – for example, the latest Economist has a great article that underlines this point with regard to India’s chaos having little to do with its economic growth potential and ability. The variability of infrastructure not only influences product development for these markets but as we recently noticed, drives innovation in sometimes surprising directions that we may not always perceive of as an “unmet need” immediately. 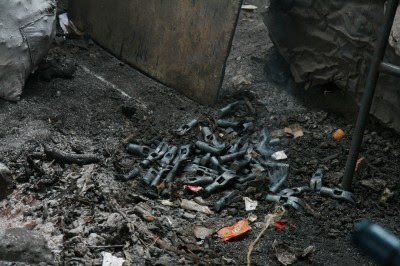 These are locks for your water tap, available in the jua kali market in Nakuru, Kenya. 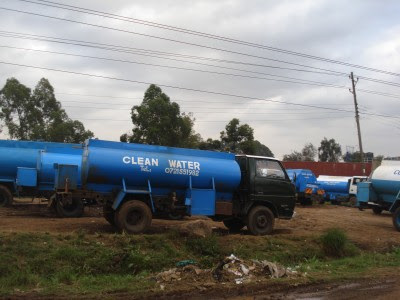 They not only prevent the unauthorized use of your water (particularly if its from a tank of finite capacity that you may have paid good money to get filled) but also protects your tap itself from theft (the metal can be sold as scrap to be melted down and reused). If you don’t design to realistic customer-derived price points from the very beginning, any tool you design for a poor customer will never be adopted at scale. And it doesn’t necessarily have to be a solar lantern for a poor customer per se – it can be the micro-entrepreneur who wants to lower his costs to the minimum in order to maximize his daily profits. 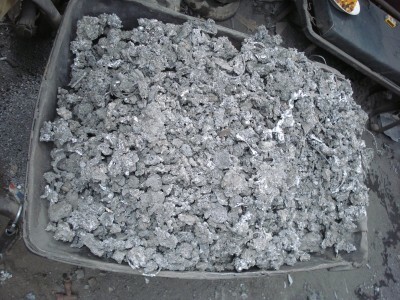 Here is an aluminium smelter’s workshop, the can on the left contains used motor oil which he burns to melt the scrap metal down into ingots for reuse. On the other hand, he is dependent on electricity supply to power his air blower that vaporizes the heavy oil enough for it to burn and loses income if the power is out. If you’re in the informal economy, you don’t have access to the far flung top of the line logistics and distribution networks that other businesses do, or at least not at scope and scale available. Furthermore, due to the variance in infrastructure and operating environment, this is a challenge even for the biggest companies if you’re in a market like India’s much less the less developed nations. I’ve touched upon this further in this article but here I’m bringing this forth as one more element of scarcity that acts upon the operating environment, and so can lead to some ingenious and/or innovative solutions. Developed in context, they are often very affordable and relevant as they seek to solve locally observed problems. Boda bodas are bicycle taxis popular in Africa, particularly East Africa, originating in Kenya. 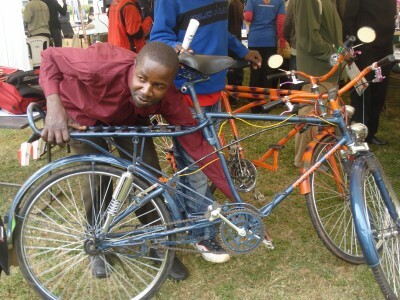 Here, these two makers from a smaller town outside of Kisumu came to display their specially modified boda boda. The back carrier has not only been elongated to increase the carrying capacity of the vehicle (which is what this is) but the gentlemen had also figured out that 250 kgs was the average load therefore they had calculated the necessary size of the modification accordingly. In addition, since their local area was both hilly and had uneven paths, they added shock absorbers to help the driver and improved the braking mechanism. Of course, they’d also added the facility to both charge your mobile front at the front of the bike while charging a car battery at the back from the dynamo. There is fodder for an entire article on the bicycle as the platform for innovation in emerging markets but that’s for another day. Far more than in India but I can’t recall the situation in the Philippines at this moment, was the obvious scarcity of appropriate and affordable hand tools, small machine tools and raw material in Kenya.And certainly, there’s no Home Depot or some such there. And Kenya is supposed to be the most advanced in this sphere in the East African region. I would really like more information in this area so please write in or comment if you have knowledge. This earlier post compares two simple manual machines, the local variant of which uses far less energy and material to effect the same purpose and this one takes a look at the prototype of an affordable coffee grinding machine. A natural but challenging side effect of operating in the informal economy is access to financial tools and support systems available to small businessmen everywhere else. Bank rates are very very high (the risk of Africa!) and so access to capital for investing in new machines or growth is hobbled by the owner/entreprenuers insistence and preference on saving up and using cash instead. This takes time, slowing down economic development at the grassroots. Microfinance tends to favour consumer behaviour rather than investments or micro-enterprises and regardless, does not tend to take irregular income streams into account.Interestingly enough, mPesa is making a difference in this sphere but again, as a workaround rather than a product targeted at this need. This aspect of products designed to support micro-entreprise was the biggest challenge in the Philippines as well as my colleagues at the Philippine Business for Social Progress have informed me. These very same lacks, one could call it a systemic mistrust, drive creative solutions of a sort perhaps that may not always be preferred as much as the more positive ones mentioned above. 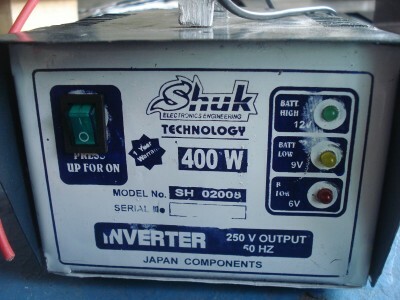 For example, the gentleman who makes these inverters is forced to put Japan components on his products so that customers will take the risk to purchase his product. He also offers a 1 year warranty and installs what would be an off the shelf, plug and play comp0nent anywhere else himself on the premises. The display and control shown here has inspired a lot of insight on contextual knowledge of technology – “Up for on”, issues of trust and commitment as well as the risk aversion already seen among BoP consumers. While this has been wholly focused on Kenya, the conditions of scarcity are only variations on the themes that can be seen around the world. In the meantime, they offer much food for thought on the operating environment. About two years ago I remember making an observation that I couldn’t seem to see any coherent patterns anymore the way I’d been able to by surfing the net for information. Flux I called it. Everything felt like it was in transition and nothing seemed to stay steady enough to grasp, much less describe. This was particularly apparent in the broad space around mobile phones, the BoP, emerging markets, Africa, and all the things that emerging futures used to write about so passionately. When the patterns stopped is when I think the writing petered away. Reflecting on this now, particularly right after the intense experience of the Pivot25 conference in Nairobi, I wonder how much of that sense of ‘things are moving too fast to make any sense of so lets step back and away from it for a while’ was but one manifestation of the extremely wide ranging and rapid changes taking place here in Africa. Just over three years ago, when I first went into the field looking at mobile phones among the mass majority of Sub Saharan Africa, the landscape was reasonably clear. Certainly value added services were teh future but what form they would take was still unknown. Voice and text were expensive relative to average cash flow and the majority of mobile phone users were on prepaid or pay as you plans. The great majority, over 90% across the continent – the prepaid plans being the model that facilitated the uptake of subscriber growth at the rates that were already visible as significant in late 2007. The internet was an expensive luxury no matter how you accessed it and available airtime was hoarded like wealth. There’s more I’m sure but these seem to be the most visible influences, at this point of time and as far as I am able to tell without a focused study. Just yesterday I said that these are dynamic factors so its no more a case of so “what does it all mean?” when you connect these dots, it is more of a situation where we take these environmental conditions and attempt to explore a few scenarios of future evolution and paths of “what might it mean” – both from the point of view of the mobile phone industry as well as otherwise. Does this environmental shift imply changes for consumer products? Retail? Pricing and business models? I think so but what it is and how it will influence change is yet to be determined.